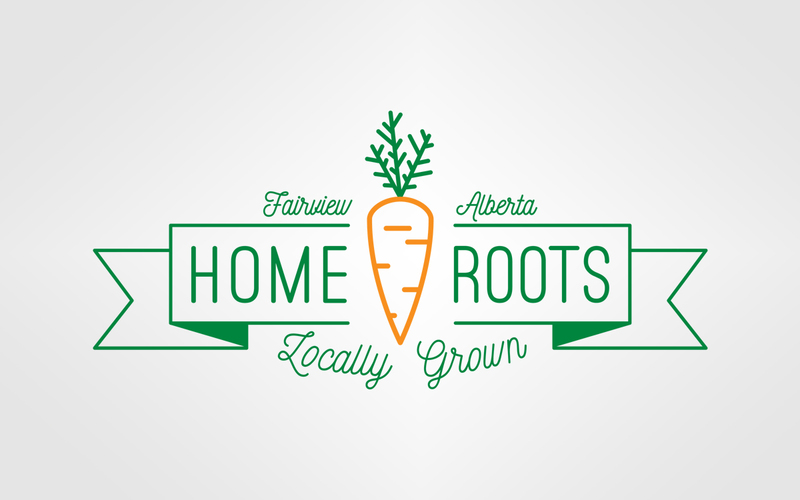 Home Roots is the creation of a third generation farmer in Northern Alberta. Looking for a new challenge, and with the help of some in-laws, they made a shift into growing the sweetest carrots in the North. They came to us looking for a logo for their new adventure as well as some produce bags to set them apart at the local farmers markets and grocery stores. We needed help putting our ideas together for coming up with a graphic and logo for our carrot bags. Bryan and Becka were the perfect solution to help express our idea. They took our drafts and made it into something that represents us. They were also a one stop shop ordering our bags for us with the inclusion of our UPC code. This saved us a whole bunch of time and hassle. Couldn’t be any happier!! !